Many measurement and reverse engineering requirements require more than simple caliper or micrometer measurements. 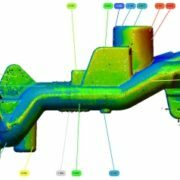 Whether you are conducting a First Article Inspection (FAI), troubleshooting a manufacturing issue or reverse engineering a legacy part for improvements, one or multiple of the modern data collection methods may work – but what is best and what are you compromising on by using any particular method? Do you do this work yourself or hire out an experienced service provider? https://www.3d-engineering.net/wp-content/uploads/2018/09/Augmenting-Structured-Light.jpg 261 432 Rob Glassburn https://www.3d-engineering.net/wp-content/uploads/2018/02/3d-engineering-logo.png Rob Glassburn2019-03-27 12:45:522019-03-27 12:45:52What Data Collection Or Scanning Equipment And Technology Is Needed for My Project? Non-contact or touchless dimensional measurement devices are the modern new comer to an array of contact devices that have been traditionally used. Contact devices are discussed in this link on Common Contact Measurement Devices. All of the non-contact devices generate a point cloud or voxel data set as their most raw form of data. The exception is the optical comparator which has been around since the late 1920s. It does not expressly produce digital data, but some of the variant equipment that evolved from this equipment does. 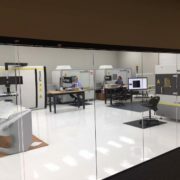 3D Engineering Solutions (3DES), North Americas’ most Advanced & Proven Center of Excellence For Metrology & Engineering Services is pleased to announce their ongoing strategic partnership with Nikon Metrology, Inc (NMI) of Brighton, Michigan. 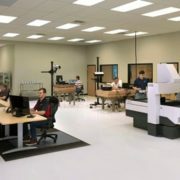 3DES recently purchased two additional advanced industrial computed tomography (CT) systems from NMI. 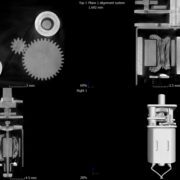 These systems use X-rays to penetrate components and assemblies to retrieve all surface and internal details. Recently I had a client who was purchasing micro motors from a Chinese company. These motors were very specialized for their required function as it has a gear reduction box attached to the output shaft. 3D Engineering Solutions’ state of the art, temperature controlled, and ISO17025 accredited metrology lab offers certified digital radiography services. Our metrology lab and 30,000 sq. 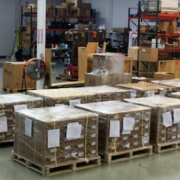 ft. of warehouse space can accommodate customer’s needs; from single part projects all the way up to production part projects for tens of thousands of parts. We have bar code logging capabilities for projects requiring full traceability and 100% data accountability. 3D Engineering Solutions has recently acquired a Creaform GO!Scan 3D. This gives us the opportunity to offer yet another option when it comes to data collection for our customers. 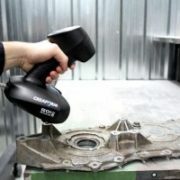 With this scanner, large parts can be scanned significantly faster. This is helpful in many situations. There are multiple ways to align scan data to a CAD model. The main three methods used at 3D Engineering Solutions are best-fit, datum reference frame, and feature based. 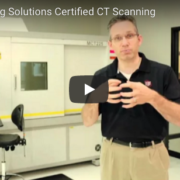 I am here today to share how 3D Engineering Solutions is a leader in CT scanning engineering. I’ll explain how we are the only company to have a piece of CT equipment to our ISO 17025 scope. This new piece of equipment allows us to perform more accurate scans. Something people may not think about is the processes used to align multiple scans of a single object, as many parts require more than one scan to fully cover the object. Sometimes the part may be too large for the equipment to cover from one spot, or a part may need to be flipped over to scan the bottom. When this happens, two or more separate scans must be conducted by scanning the part in one position, then moving it and scanning again. Some parts have enough unique features to use for alignment, by signaling the software to use those features as the basis for aligning. 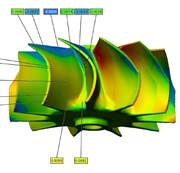 Why Choose 3D Engineering Solutions for your Industrial CT Scanning Needs? 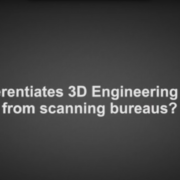 What differentiates 3D Engineering Solutions from scanning bureaus? https://www.3d-engineering.net/wp-content/uploads/2015/05/Screen-Shot-2018-03-09-at-5.02.21-PM.png 860 1902 Rob Glassburn https://www.3d-engineering.net/wp-content/uploads/2018/02/3d-engineering-logo.png Rob Glassburn2015-05-12 16:41:502018-04-03 16:46:59Why Choose 3D Engineering Solutions for your Industrial CT Scanning Needs?